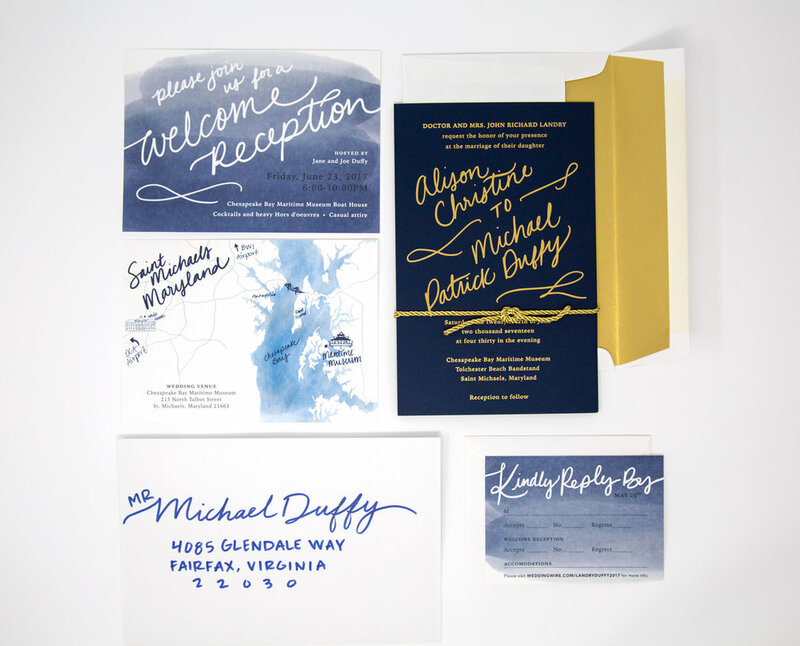 Wedding invitation suite featuring hand drawn type and custom map illustration. 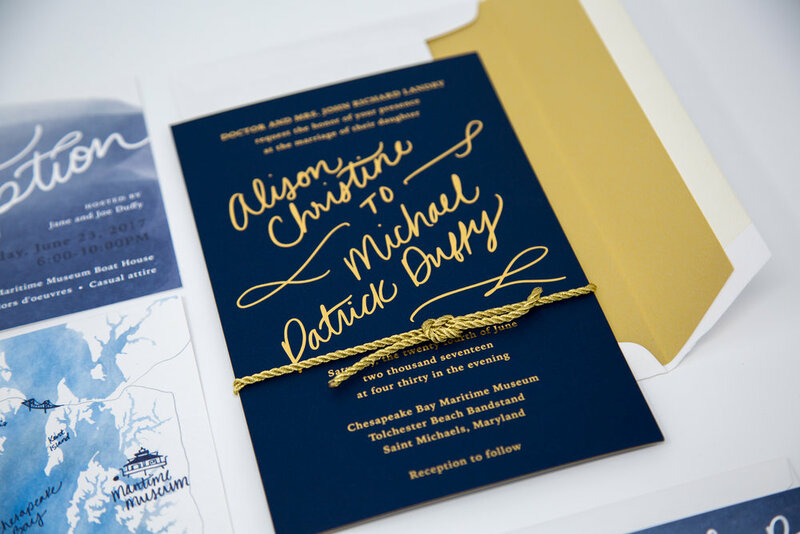 The invitation was printed with gold foil and a painted gold edge. The wedding took place at the Maritime Museum and boat house leading the design to have a sophisticated nautical flare highlighted with the sailors knot and ocean watercolor.